Unlike ERP systems, which track inventory by location, BellHawk tracks containers of material using license-plate container tracking methods. License-plate container tracking methods are what are used by FedEx and UPS to track their parcels and envelopes. They are also the basis of the GS1 standard for tracking materials in the Global Supply Chain. 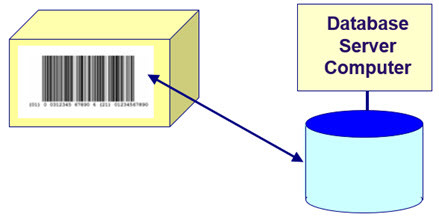 The principle of license-plate container tracking is that a unique barcode or RFID tag is applied to the container at point of origin and then all the data about the contents of the container is entered once. Thereafter the container is tracked by scanning the barcode or RFID tag to record the new location of each container as it is moved. Contrast this with conventional inventory tracking where materials have to be withdrawn from one location and entered into another location whenever they are moved, which is cumbersome and time consuming. License plate container tracking gets its name from the registry of motor vehicles, where they issue you with a license-plate for your new car or truck. This license-plate has a state of issue and a set of letters and numbers that uniquely identify the vehicle, but otherwise do not contain any information about the vehicle. All that information is stored in an electronic database, where it is readily available. 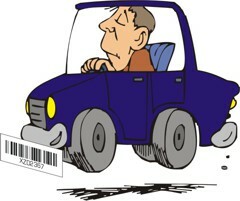 The same applies to license-plate tracking barcodes applied to containers in BellHawk. Here a unique tracking barcode is applied to each container, or individual part that is to be tracked and all the details about the contents of the container are captured when the container is first entered into inventory. This data may include: part number, quantity, lot number, expiration date, supplier, location, as well as user defined parameters such as size and color. 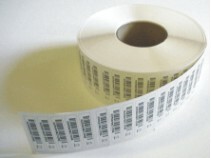 The tracking barcode label that is applied to each container can be as simple as a uniquely numbered barcode peeled off a roll of pre-printed barcodes, such as shown at left, for use within your own plant, or as complex as a GS1 standard SSCC barcode, printed out of BellHawk, to uniquely identify a pallet or other shipping container in the global supply chain, as shown on the container above right. Please note that the contents of the database record describing each container is dynamic, so that the barcode label does not need to be changed whenever the quantity of materials in the container is changed. Also the current location of the container can be changed simply by scanning the tracking barcode and recording the new location. In BellHawk this tracking is done by applying a unique location barcode to each rack, shelf, and floor location. 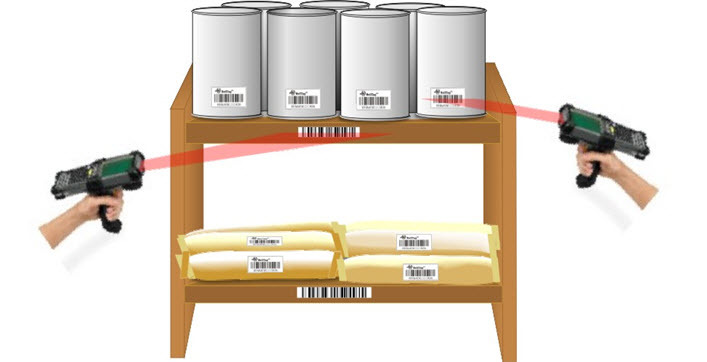 Then, whenever a container is moved, the license-plate tracking barcode on the container is scanned along with the location barcode on the shelf, rack, or floor location to which its is moved. In this way BellHawk knows where every container of materials is at all times and is able to provide this information in real-time to users of the BellHawk system. Also, when total quantities of inventory in stock can be quickly reported by simply adding up the quantity of materials in all the containers of each part, wherever they are located. Please click on the following link to learn how BellHawk has extended the principles of license-plate tracking to include Nested Container Tracking.